Step inside the Travelling Heritage Bureau and discover the artwork and storytelling of international women artists based in the North West. The Bureau is a space of resistance, creativity and inclusion. It is a space for all who consider themselves journeying, travelling, displaced and international. The Travelling Heritage Bureau is a co-research project and supportive network with and for international and displaced women artists. The project aims to ensure the arts practice and cultural heritage of international women visual artists is identified, collected and shared. 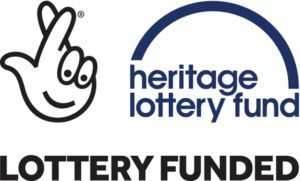 Supported by the Heritage Lottery Fund.